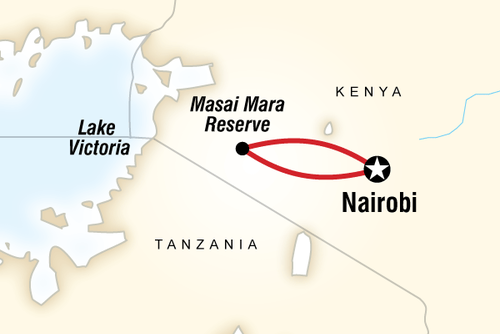 Kenya is a popular destination situated in Eastern Africa bordered by Ethiopia to the north, Somalia to the north-east, Tanzania to the south, Uganda to the west & Sudan to the north-west. 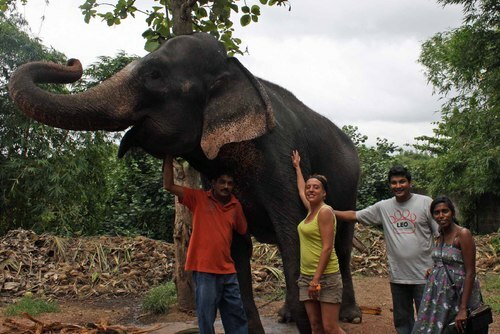 Expect exotic wildlife and incredible travel destinations which will leave you with memories to last a lifetime. Get inspired to visit Kenya today. Find activities and inspiration for the best things to do if you would like to book a holiday, travel, go backpacking or take a gap year in Kenya. View travel tips and advice on our guide including tips for places to go, the best packages available and get information about costs, accommodation, transport, health and safety and how to visit Kenya on a budget. Kenya enjoys a warm climate especially on the coast, sunshine is nearly all year round and there is no best time to visit. Most nationalities can gain a tourist visa on arrival. Most international flights arrive into Nairobi which is a bustling city full of activity and noise, this is a good base with good transport links to the rest of the country. You will be granted a 90 day tourist visa on arrival, you will also need to pay a one off fee and have a valid passport to enter the country. Sometimes you might be asked to show a return ticket. 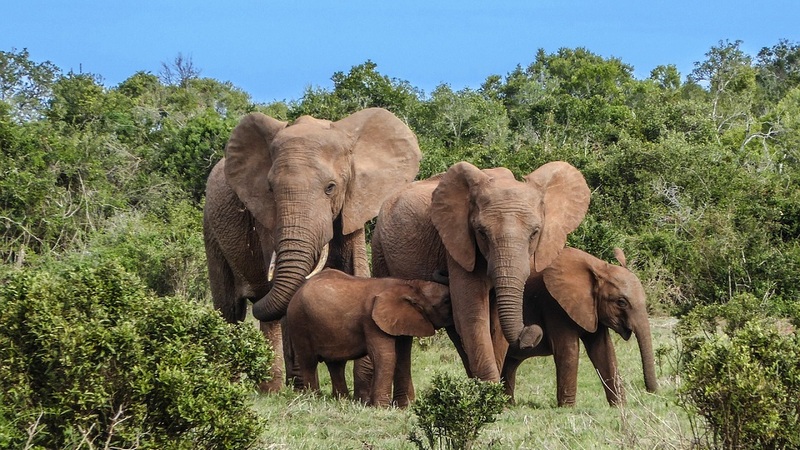 One of the main reasons people choose to visit Kenya is to see animals in their natural habitat - this is a very unique experience which allows you to travel like a local away from the tourist crowds. You will get to visit places like the Masai Mara, Lake Nakuru, Amboseli & see incredible wildlife like lions and elephants. If you are looking for adventure then the magestic Mount Kenya located in the center of the country is a must see destination, just south of the equator is the second highest mountain in Africa standing at 5,199 metres. Kenya is a diverse country with many different cultures and customs from the Swahili on the coast to the Masaai with their beautiful beads. You will learn so much about the local people and culture. If you are planning a wildlife safari holiday in Kenya we recommend timing a break to watch the wildedeest migration which is best seen by hot air balloon or from the Samburu game reserve. Fishing is popular in Kisumu, Lake Victoria is stunning, especially if you are fortunate enough to get close to the hippopotamus families that pop out of the lake. It will be fantastic to be on a tiny fishing boat and to enjoy the tranquil water. Be warned, if you are with the local fisherman; be prepared for him to make noises to the hippos! They have good conversations and you most definitely will hear some old tales of many moons of work on the water. Transport: If you are keen to travel independently we recommend booking private bus transport for Kenya, local services can be unreliable / unsafe. Budget & Costs: Kenya is a very cheap country to visit compared to other worldwide destinations but it is expensive compared to other destinations in Africa. How much you spend will really come down to what you do. You can experience Kenya very cheaply but if you want to do some of the best things e.g. see wildlife then you will need to add extra to your budget. Food: The local food is very cheap and also surprisingly good, we recommend you try a chapati (like a bread), Mtuzi Wa Samaki (fish and coconut) and githeri (rice and beans). Cities: If you are travelling to Kenya and want to be in a city, but maybe not on a grand scale as Nairobi and want to have the choice of going rural communities, to experience both worlds (because there are district inequalities, even in the developing world) then Kisumu is a very wise choice! This city is generally cheaper than Nairobi too. Shopping: The street markets in Kenya are a must, but be warned, you will want to grab everything in sight! It would be too hard not to appreciate the skill that goes into the handmade crafts that are available. There are so many fantastic presents for friends and family back home or in your own home environment. Our best advice is not to buy straight away, these markets are usually long and you may spot something else while you are making your way through them all. 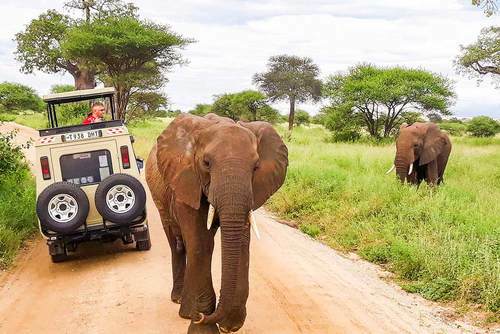 Kenya has some of the best national parks in the world which include the Masai Mara and Lake Nakuru and most people choose to join overland tours where you will travel in a specially made truck with at least two experienced guides. 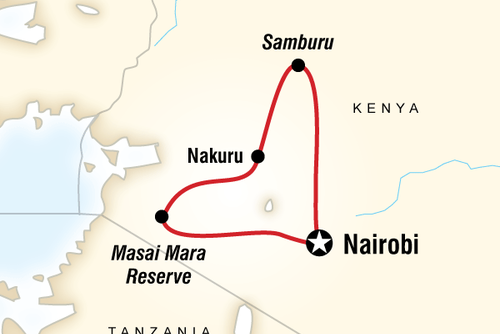 By exploring Kenya you can enjoy one of the most spectacular walks in the world through the Masai Mara. There are various trips available where you will stay in camping accommodation for the real authentic African experience mixing culture, wildlife and activities. 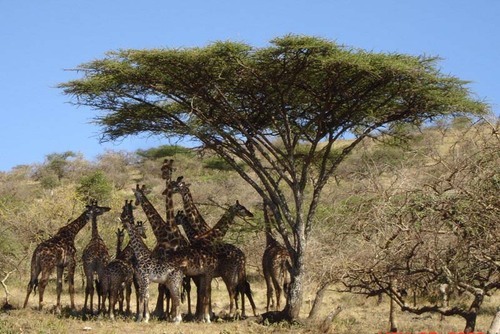 On trips you will travel with a small group and you will also get to see the Great Rift Valley, join game drives and explore the Masai Mara National Reserve. 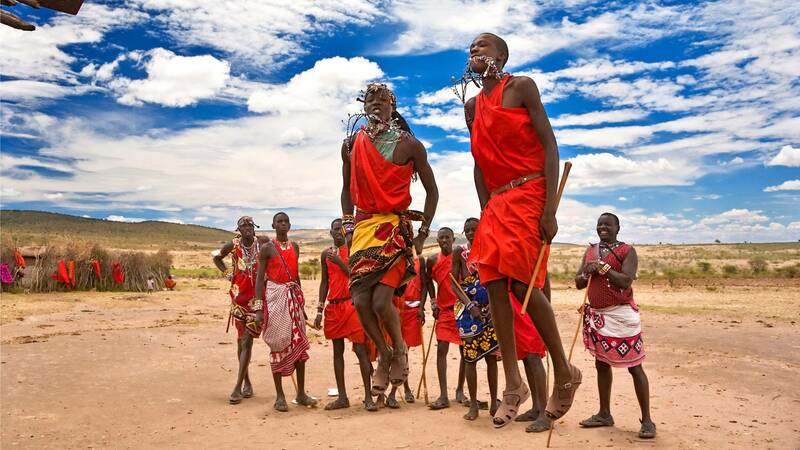 You will learn a lot about the Masai on these tours and your experienced guide will be able to take you to the best locations with breathtaking views over Kenya. If you make a booking early or late very close to the departure date, or book in a group of 2 or more and you will be able to get a discounted rate. There are a selection of stunning African lodges, tented camps and hotels where you can experience the natural beauty of Kenya with home comforts and without the hassel of venturing too far. 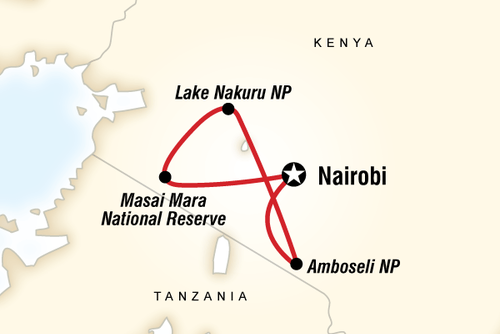 Kenya is spoit for choice when it comes to national parks and visiting one is a must, we recommend going on a safari in the Nairobi National Park which is full of rare and endangeroured wildlife like lions, giraffes, zebras and buffalos. On both of these types of safaris you will get up close to amazing animals and also get airport pick up, transfer, selected meals, game drives and guides with local knowledge. You can also book a tailor made safari to Kenya where you can discuss your interests and design an itinerary to match your needs. If you are just interested in wildlife without the travelling then a lodge accommodation safari will appeal to you. 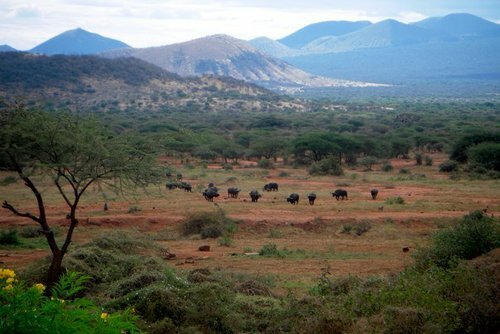 Kenya is one of the most popular destinations when taking a Africa gap year. Our website features gap year programs and backpacking options for students, graduates and career breaks including adventure travel and budget options. When you imagine Kenya you might not also think of a tropical coast with hundreds of miles of scenic ocean and white sandy beaches, blue / turquoise-coloured warm water, relaxed islands, tropical rainforest, high mountain peaks, non-active volcanoes and pretty savannas. Kenya is this and so much more. If you have every though about visiting Africa and doing something like helping then we highly advise Kenya as a potential destination. Kenya's culture is very different to what you might be used to but this country is very safe to visit and local people are very friendly. Gap year trips can be joined all year round and are very worthwhile. People are needed in Kenya throughout the year and there are lots of unique and different gap year programs you can join. Most organisations will need you to be aged 18 and over but there are also summer and shorter 2 week trips available for 16, 17 and 18+ age groups. Remember Kenya has a warm climate almost all year round so pack and dress light. The safest and our best recommendation for traveling and seeing more of Kenya is to join an organised adventure. You can view these on our website, some include camping, going on safari or just traveling through this region of East Africa and seeing more countries. We recommend joining an overland tour on Kenya so you will be able to get off the beaten track and see this beautiful country for yourself. We list gap year small group adventure tours where you will travel with other internationals and really be able to see the real Kenya. There are departures all year round and different trips for different interests, most trips start in the Kenyan capital Nairobi and from here you could go see the Masai or journey to the rest of the country. On safaris you can expect to see lots of wildlife like elephants, lions and buffalo roaming the savannas and endless plains. 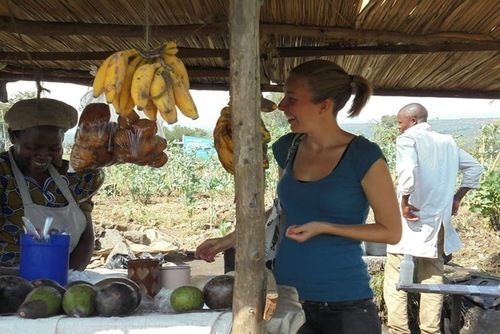 Research gap year trips in Kenya carefully though as they are not like an easy experience, living conditions can be rustic whilst this country does not have the same living standards as the West for example. Finding paid work in Kenya is very difficult unless you would like to work as a tour guide leading group trips. Kenya will appeal for so many reasons, there is a gorgeous coast, wildlife, friendly locals and lots of amazing excursions available all year round. By participating you will really feel the warmth of local people. Browse our website and find inspiring ways you can give back from working with communities or help the environment. You could even work with the Maasai. Kenya is a popular destination which gets a lot of income from tourists but it is also a country which has severe poverty and also certain areas lack basic infrastructure. By applying to volunteer abroad in Kenya you are given the opportunity to make a real contribution and change lives of communities, wildlife and young people. Dive into the local culture and traditions and explore historic cities like Mombasa and all of its tropical beaches. This is a real and unique way to discover the real Kenya! As a participant on a community project in Kenta you will get to know local people and really help those in need. There are sustainable tourism programs, teaching projects and also educational and training initiatives available You will find out first hand whats its like in a Kenyan community as you will work alongside locally employed staff getting immersed in their culture and tradition. Some placements are in large cities whilst there are other locations in rural areas where you will experience the rustic charm of the country - both of these places offer different experiences. There are lots of different programs which might appeal to you, some use creative things like art and music whilst there are also awareness campaigns where you can use training and education to improve local peoples lives. Flex those muscles and wok with impoverished communities in stunning Nakuru. You can help to give impoverished communities a brighter future building new homes and lending a hand with development projects. Simple housing is in short supply in Kenya and with no scheme in place to help poverty stricken locals, which means that those who can’t afford housing often have to make do with life on the streets. Your help is needed to assist with essential building work and community renovation; this can range from building or repairing classrooms, orphanages and care centres to building homes for families who need a safe refuge. Schedules and work will vary according to what is needed at the project and when you arrive. You will generally work on the project for around 6 hours a day, Monday to Friday, with your weekends free to explore the incredible natural beauty of Nakuru. The Maasai region is located within Kenya and northern Tanzania and on these projects you will get to work with and gain a greater understanding of the local tribes who live here. The Maasaa are a semi-nomadic community who live a traditional and peaceful lifestyle, you will be able to help conservation and the land they live on or also join teaching placements educating youngsters in local community schools. 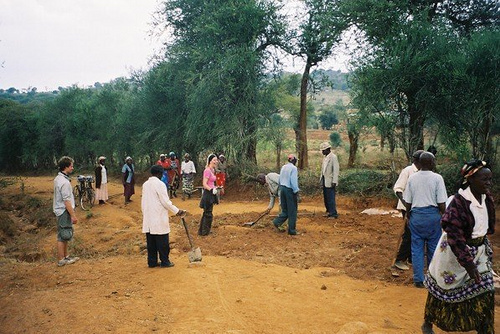 Some programs are located in the Masai villages of Kimuka and Olosho Oibor which are around 1 hour away from Nairobi. Living conditions can be rural and basic - this will be an authentic experience like no other! If you like animals you could work on a wildlife conservation program and work alongside locally employed staff, for example zoologists and vets who look after endangered animals. 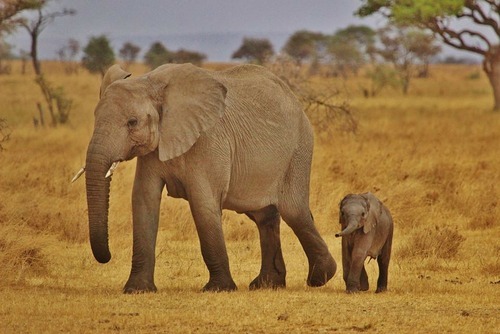 Kenya is famous for its wildlife but animals face many problems on a daily basis like poaching. You can help on the ground with local wildlife conservation organisations which aim to provide sustainable long term efforts in place so animals can live freely in their natural habitat. You will get back to basics and experience real African living helping with the daily monitoring and conservation of big cats and elephants as well as learning all about life within a traditional Masai community. Generally your days will start with an early breakfast at around 7am and work on the projects until around 6pm. Kenya has a poor public health system and you can work in specially set up areas, hospitals or join outreach teams travelling out into rural areas to help people. There are skilled / non-skilled placements, some you will be required to have a formal education but no previous experience is required for non professional placements. On HIV / AIDS volunteer programs you might be raising awareness of the disease in local communities in hope of stopping and preventing the spread of the disease, around 5 - 10% of the population suffer from this devastating disease. We work with organisations which can place you in medical centres in places like Mombasa on the East Coast, there are nurses and nurses in training required all the time to help with daily tasks and duties at surgeries. You will work side by side with local doctors helping local people who are in need of assistance, most centres lack resources and staff and you might be thrown straight into the action when you arrive. You could help children affected by poverty, abandonment, illness and disease by applying to be a child welfare assistance. On this positions you will be able to help children gain their smiles back by helping with their education and healthcare. Most nationalities can apply to volunteer in Kenya but a lot of organisations request you are aged 18+ on the start date. Knowing basic Swahili is not a requirement but you might want to take a phrase book as many local people don't speak English. People are needed all year round and there is no best time to apply, register your interest or request more information today. Search our featured programs above to see if you find a placement to match your interests. Find organizations who offer safe packages which include flights, accommodation, meals, transfers, orientation and in-country support. You might be required to pay a fee to join, what’s included in most packages is transfers to and from Nairobi International Airport, all meals and accommodation during your stay and full support and assistance from your co-ordinator throughout your time on your placement. You will usually be responsible for paying for flights, insurance, visa and also bottled water. 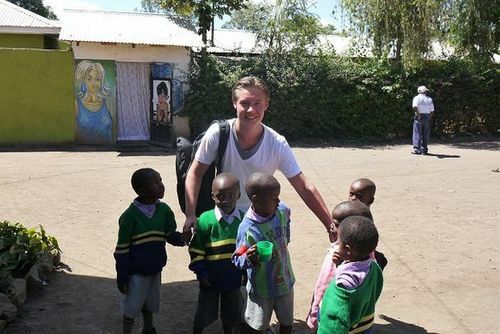 If you need any help arranging a volunteer placement in Kenya please get in touch. If you search our organisations you will find NGO's, small grass roots projects, non-profits who offer free and cheap volunteering programs in Kenya - perfect if you are looking to get away on a budget. Browse our organisation directory if you are looking for free and low cost positions. Do you want to build a new future through teaching? There are many ways volunteers are excelling in these areas by using their enthusiasm and experience to help change the lives of the children they are teaching. Many of these schools are based in poor, deprived areas of the city and require urgent assistance from volunteers. Education is seen as a privilege in Kenya and was reserved until recently for the wealthy families. In recent years school as in theory been made free; however schools still need funding to survive and consequently have asked for scholar subscriptions. This is why it is essential for volunteers to help within these schools, to give kids the opportunity to learn and to gain an education they deserve. The are placements available at small nurseries, schools and humanitarian feeding centers in places like Nairobi. Many schools help educate underprivileged children and most are run on shoe string budgets with donations allowing them to provide essential commodities like water, food, clothes and teaching materials. You do not need to be a skilled teacher already in the profession to apply, most lessons are very basic - this might be a shock when you see the state of classrooms in this country especially in rural areas. There are roles where you can teach in a classroom or coach sports outdoors - you might also get to do some fun things like painting walls and helping with irrigation/gardening meaning schools can grow their own vegetables organ. Some schools are very rustic - in rural areas some don't even have electricity, international participants are encouraged to take books and supplies which will be of great use when in your destination. You will get to take part in a number of roles and flexibility will be a big advantage, most days you will encourage children to learn, read and write better allowing them to practice and improve. You will get guidance from local Kenyan teachers and be free to plan your own lessons, games and activities. There are usually literacy clubs set up which are important in helping children and adults improve their skills which can help with long term job prospects. If you have any previous skills working as a teacher these will be put to good use where you can create structured lessons for different abilities, create weekly lesson plans, make tests and homework.